Has someone recommended a Sagicor no exam policy for you? If you’re looking for a Sagicor life insurance company review, then you’ve come to the right place. Sagicor is one of our top-rated no exam insurance companies but unfortunately, is not well known by many consumers. 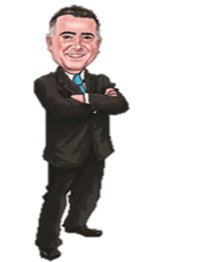 This company makes applying for life insurance easy with its digital application process. Sagicor Life is headquartered in Scottsdale, Arizona and is owned by its parent company Sagicor Financial. The company was founded in 1840 as The Barbados Mutual Assurance Society operating mostly in Latin America and the Caribbean. 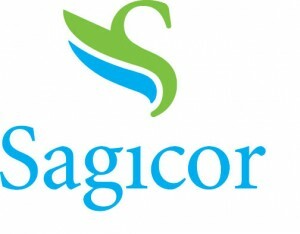 In 2002, Barbados Mutual converted to Sagicor life and began insurance operations in the United States. The name Sagicor came about from a combination of two words, “Sage” which means wise and “Cor” meaning the heart or judgment. The company claims to operate under the philosophy of wisdom with heart. One of the most important factors in choosing an insurance company is its financial stability and claims paying ability. As a prudent consumer, you want to make sure the company will be around for many years to pay claims. Sagicor is a very financially stable insurance company. It was given an A- rating (Excellent) from A.M. Best. The company currently operates in 44 states and is ranked as one of the top 175 insurance companies in the U.S. measured by total assets. Sagicor has a long history of claims paying ability, financial strength and has a positive outlook for stability in the future. The consistent financial strength of this company makes our list as one of the best no medical exam life insurance companies. If you’re looking to get a life insurance policy and want to skip the medical exam, Sagicor is definitely a one company that should be considered. Sagicor no exam policies feature, no bloodwork, no urine samples or attending physician statements (APS). If you’re between the ages of 18 and 65, Sagicor offers an “Accelewriting Approval Process.” This is automated underwriting with an approval decision within minutes (no telephone interview required). The entire underwriting review process is seamless and there are no annoying paper applications. It’s easy to see why more people are opting for the new digital way of acquiring life insurance and Sagicor is a leader in this field. In order for Sagicor to make a quick decision for policy approval, they use 3 resources that are available to most insurance companies: Medical Information Bureau (MIB) , Prescription Check (RX database) and Motor Vehicle Reports (MVR). Sagicor Life offers policies at the following rate classes: preferred, standard and table rated. Sagicor Life also offers the following tobacco rate classes: preferred tobacco and standard tobacco. Compared to many of its competitors such as American National, Fidelity and Assurity Life, Sagicor features some of the lowest rates for no exam policies. Just keep in mind, that a no exam policy will be more expensive than a fully underwritten policy. With no exam, the insurance company does not have the opportunity to view your full health picture which makes you a higher risk and leads to higher premiums. Sage Whole Life (WL): Available from ages 16 to age 65 in coverage amounts from $25,000 to $250,000. These policies are also issued through automated underwriting without a medical exam and approved within a matter of minutes. Sage Universal Life (UL): No exam UL is available to men and women between the ages of 16 to 65 and coverage amounts are available from $25,000 up to $400,000. 1. No Lapse universal life up to age 120: A Universal Life Insurance product that provides a guaranteed premium and Death Benefit protection for life. Premiums can be locked in and guaranteed level to age 120. 2. Fixed Indexed universal life: flexible premium universal life which offers tax deferred accumulation with 3 no risk investment options: Fixed interest, S&P 500 and Global Index. Is There a Downside to Sagicor? Probably the biggest downside to choosing Sagicor as your life insurance provider is the company is not as well-known as many of its competitors. As the no medical exam segment of the industry continues to heat up and grow, companies like Sagicor will become more popular and stand out from the crowd. Ready For A Quote From Sagicor? We are an independent agency that works with more than 30 of the best life insurance companies in the United States. Our advice is unbiased because we do not favor one company over another. Our goal is to find the best company at the best price for your unique situation. Many insurance agents are too busy trying to be everything to everyone and wind up not specializing in anything at all. Our main focus is finding you a life insurance policy that fits your needs and your budget.